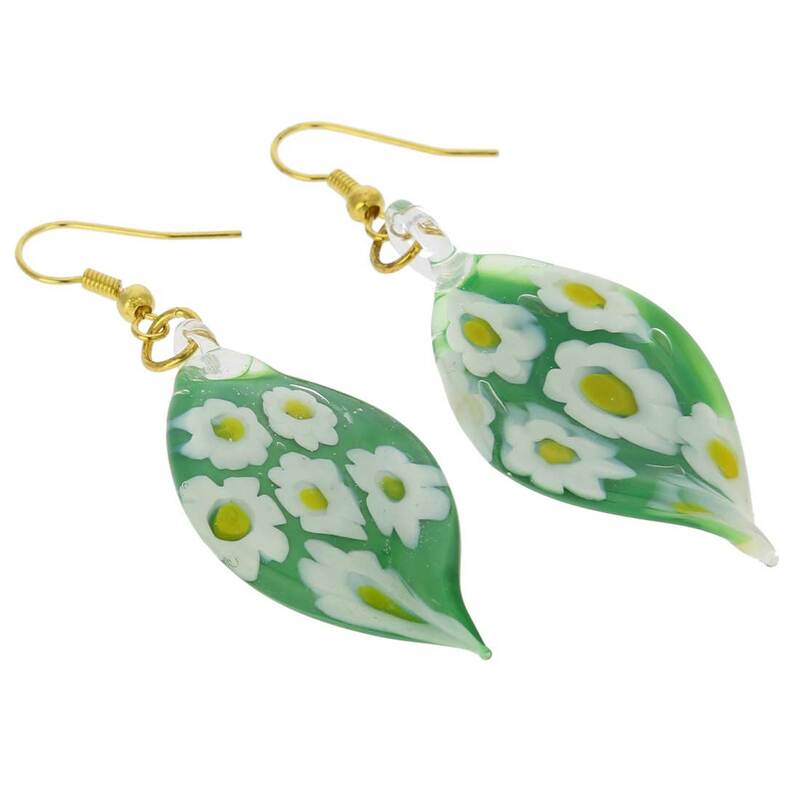 These exquisite earrings with their deep green color and a splash of daisies frozen inside glass are elegant and unique. 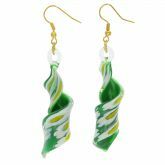 The earrings feature slightly twisted leaf shape created by hand in Murano glass-making workshops. Feminine and trendy, these Venetian earrings will bring a touch of Italian summer to your surroundings and will help make every day brighter. 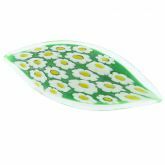 Pair them with Green Daisy Leaf Pendant from our Daisy collection for an impressive and perfectly coordinated look. The earrings come with an attractive velvet pouch and a certificate of authenticity. 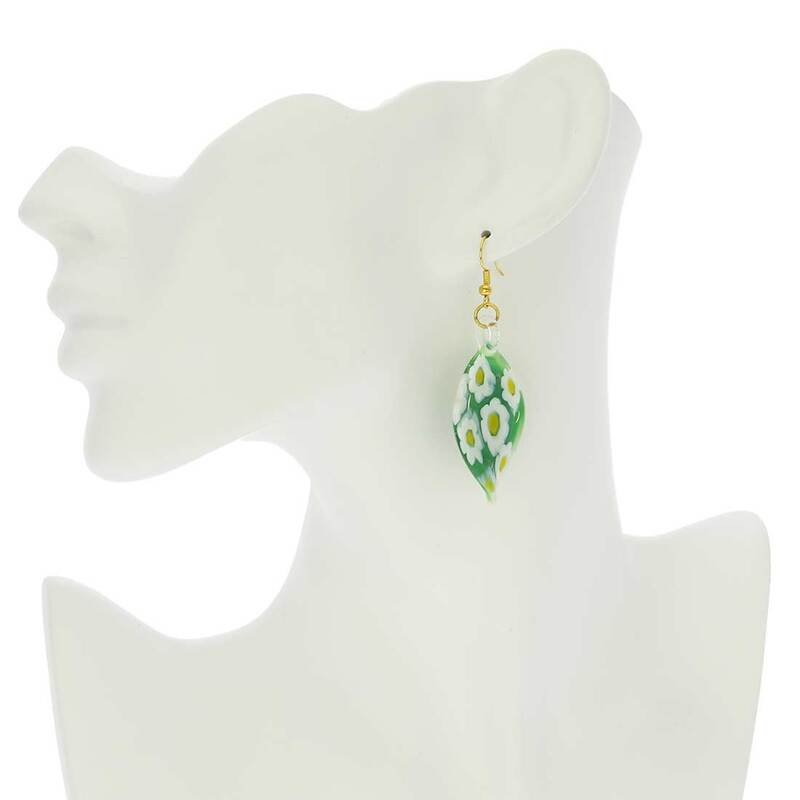 Measurements: Each earring measures approximately 1 1/2 inches in height and 3/4 inches in width in its widest part. 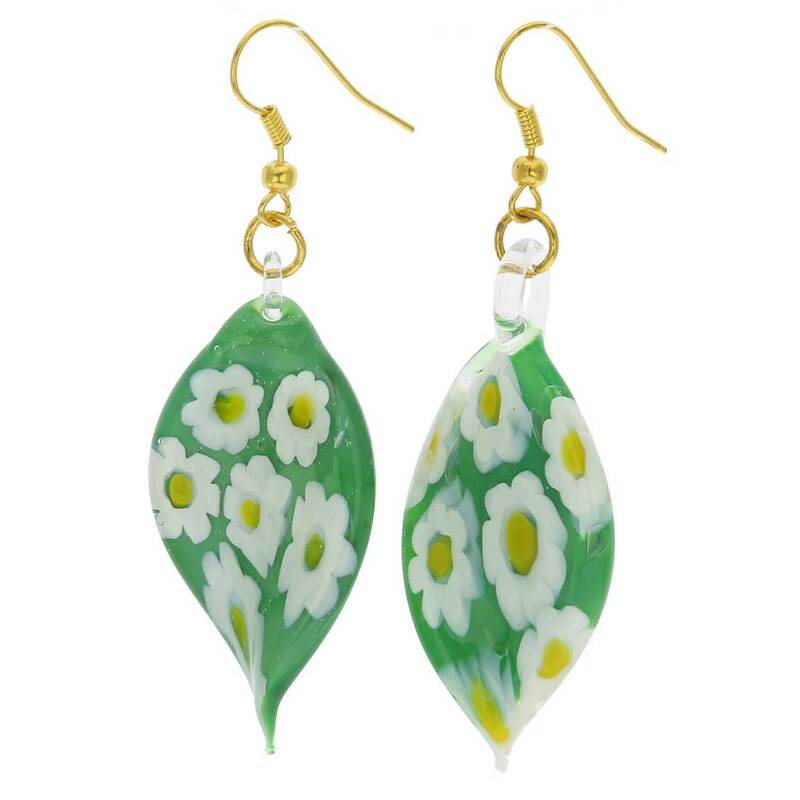 Green Daisy leaf earrings are a part of Daisy Collection. The collection showcases a unique example of Millefiori technique. This glassmaking technique was used in the Roman times, then the secret to it was lost, and later re-discovered in Murano in the 15th century. 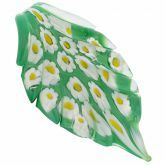 Murano Millefiori Glass is famous and revered around the world for its unique artistic look and fine craftsmanship.